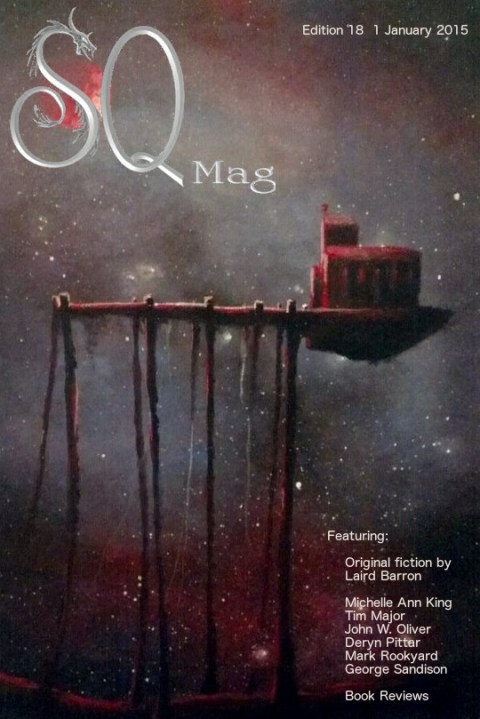 SQ Mag Edition 18, featuring my story, ‘Like Clockwork’, is now available for free on the SQ Mag website. ‘Like Clockwork’ took second prize in the Story Quest ‘Punkin’ the Train’ contest at the start of December 2014. It’s the first of my Mars stories (featuring sand-sculpted dwellings, roaming bases and ‘aye-aye’ AI robots) to be published, though it’s one of the most recent I’ve written. More to come, I hope. I’ve just been told that my story, ‘Like Clockwork’ has won second place in SQ Mag’s current Story Quest contest. The theme of the contest was ‘Punkin’ the Train’ – though my story isn’t specifically steampunk or dieselpunk etc and I’m not sure which classification might include a Martian sand-sculpted steam train… This nostalgic version of Mars features in several of my stories, but this is the first that’ll be published. I’ve always liked the idea of threading a story/world across several publications, so fingers crossed for that. I don’t yet know which issue of SQ Mag will include ‘Like Clockwork’.